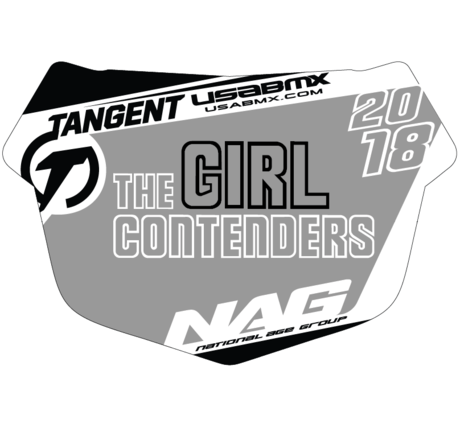 It is officially the month of June in 2018, and since May featured some updates on the men and women cruiser (24”) NAG standings for USA BMX, it is only fitting that some parts of June are used to look at the 20” men and women NAG standings. 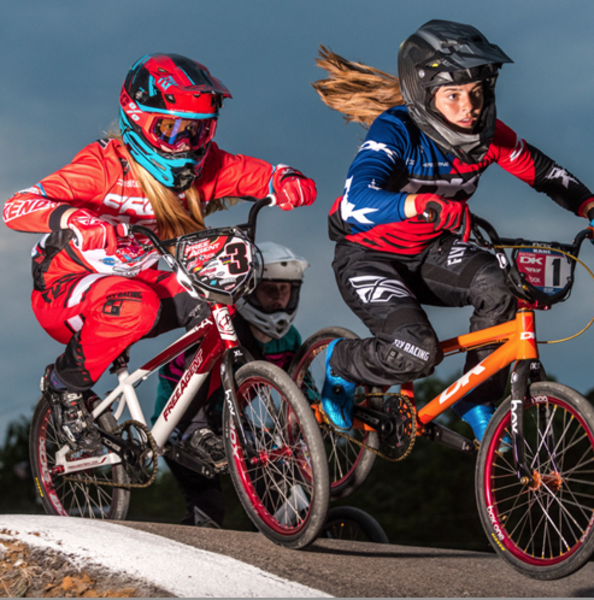 First up are the ladies, and with the Music City Nationals hardly a week behind everyone, and the Midwest Nationals still about two weeks away, now is a great time to take a look at what’s going on USA BMX National Age Group Standings. The NAG Standings take each points-paying class (girls cruiser, cruiser, girls, boys), divides the riders up into their age group, and ranks them based on the amount of National points they have earned over the season. 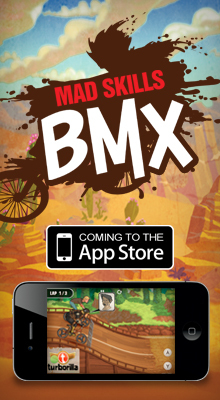 USA BMX counts a rider’s best eight National scores, and any rider who has at least four National scores can be eligible for a NAG Plate. 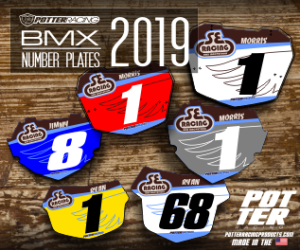 A NAG Plate is one of the most prestigious accomplishments a BMX racer can achieve in their career, and that is why keeping an eye on the current NAG points can be very exciting and a vital part of being a BMX racing fan. 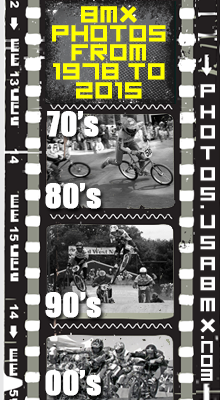 Be sure to get out to a National whenever it is convenient to experience the thrill of racing at a National, or the joy of watching some of the biggest USA BMX races of the season take place. With all of this said, it is time to break down some of the biggest storylines going on the NAG standings right now. In what age groups are their close battles for the top spot? Who is on the verge of being in place to earn a NAG plate? Who should people keep an eye out for at upcoming Nationals? Who has been tearing it up on the National scene lately? Hopefully, all of those questions will be answered here, and others as well. The girls class (20”) groups will kick things off. Note: In the midst of writing this article, the NAG points got updated again. As a result, classes in this story up until the 17-20women class may not be updated to the way they are on the points page at usabmx.com. 5 & Under - Things begin with the 5 & under girls group, and this is where Kira Vescuso holds a ginormous lead over her counterparts. Vescuso currently holds the No. 1 spot with 1,426 points. Current No. 2 Ruby Penrod has 233 points, which leaves her a mere 1,193 behind Vescuso. To Penrod’s credit, she has recently jumped up into the No. 2 spot from the No. 6 spot, and she joins Cali Kopetski, Marilyn Martinez, and Peyton Spanel as some riders who have made big leaps in the standings lately. 6 - There’s a good battle brewing near the top of the 6girls NAG standings, as the Top Seven riders all have over 1,300 points, and are all within just over 600 points of each other. At the top, Maya Gadbois has moved into the lead with 1,990 points, and that puts her 156 points ahead of Zoey Barnes. Just 122 points behind Barnes is Olivia Alvidrez, and then less than 100 points behind Alvidrez is Alexandria Pasowicz. Rounding out the Top Five is Sequoia Gomolicke, who is just 72 points behind Pasowicz. Presley Adkins and Payton Johnson are the other two 6girls with over 1,300 points. 7 - The youngest rider with over 2,000 points in the girls' classes is Ellie Carey, and Carey currently leads the 7girls NAG standings by 74 points over Aubrey Binek and Chase Burian. Binek and Burian are tied for second with 1,957 points, and they just recently took turns swapping wins in the 6girls class at the Music City Nationals (Binek won twice, Burian won once). Kennedy Hoffschneider and Reese Litherland round out the Top Five, and they both have over 1,500 points to their name. Two girls who are outside of the Top Ten but have been making noise in recent times are Callie Clifford and Piper Ramsey. Ramsey recently lept from fifteen to twelfth, while Clifford went from outside of the Top Fifteen to eleventh. 8 - True Johnson, Gianna Clark, and Charlotte Heckendorf currently hold the Top Three spots in the 8girls class, but they should know they have competition for those spots brewing beneath them. An example of this was seen at the Music City Nats, as No. 8 Isabella Stevens took a main event win away from Clark on one day of the three-day National (Stevens was second to Clark on the other two days). Stevens has already jumped from fifteenth to eighth in recent times, so it is definitely possible that she could continue to move up in the near future. Clark’s two victories from last weekend should be taken note of as well, as she only trails Johnson by 147 points for that top spot. 9 - Moving from fourth to first in the past month or so is Nora Willmert, who has surpassed riders like Annalyse Solano and Lily Hinton for the top spot in the 9girls class. Solano sits just 34 points behind Willmert, and Hinton, as well as Mikaelah Lowe and Zoe Dannenberg, are sure not to let this title chase go down without the fight continuing. Out of this group, it was Dannenberg who has made the most noise at recent Nationals, as she went 2-1-1 at the Music City Nats last weekend while battling with the likes of Violet Popovich (currently No. 9). 10 - While she once just held a spot in the Top Five, Lola Jonjevic now leads the entire 10girls National Standings with 1,947 points on the season. Jonjevic, who was on the podium twice at the Music City Nats a week ago, leads Breeanne Vaughan by a little over 100 points, and then Sophia Rodriguez, Derin Merten, and Taylor Rungaitis all follow closely behind as well. Rodriguez, Merten, and Rungaitis are actually separated by just 52 points in their battle for third. Jonjevic’s jump to first, as well as Rodriguez’s leap from tenth to third, and Mia Downes’ climb from outside of the Top Fifteen to fourteenth are the most notable recent changes for this class. Not to go unmentioned, No.12 Keeaira Sherrill-Hill won two main events in Music City. 11 - The 11girls class certainly appears to have a deep field, but at the moment they are led by Brooklyn Van Renselaar, who has eclipsed the 2,000-point mark. Alexis Alden, who went 2-1-1 at the Music City Nats, sits second, and then the ever talented Danica Anderson, Hannah Leakey, and Avery Chartrand round out the Top Five, and they are all nearly within 300 points of Van Renselaar. Anderson has been steadily moving up the ranks recently, and some other notable movers include Gabriella Pavone, Emma Peacock, who are now tenth through twelfth in the NAG standings, while before they were fourteenth through sixteenth. After impressive showings in Music City, Danica Bailey and No.5 Chartrand are other ladies to watch out for. 12 - By just 62 points, Grecia Cristodulo leads Katja Shriver in the battle for the No. 1 spot in the 12girls NAG standings. Both ladies are past 1,900 points, and they have some decent separation from Ava Corley, who is currently third. Corley was back outside of the Top Ten not too long ago, so she has been making some big moves recently, as have riders like Stella Sunseri, Isabella Nelson, and Jordis Harmer. Sunseri has made an astonishing leap from outside of the Top Fifteen all the way to fifth, while Nelson has bumped herself up from tenth to seventh, and Harmer has jumped from outside of the Top Fifteen to tenth. 13 - One of the top girl riders in the nation leads the way in the 13girls ranks, as Jordyn Miranda stakes claim to 2,133 points atop the NAG standings. Miranda has just under a 300-point lead on No.2 Breanna Winter, and while Winter, No. 3 Keiley Shea, and No. 5 Deserae Romero all have spots near the top of the standings, No. 4 Manuela Munoz Velez has been particularly impressive lately. Case in point was the Music City Nats, as Munoz Velez swept all three days of 12girls action ahead of some very solid competition. No.10 Annabella Hammonds and No.14 Kurstin Alonzo have been moving up in the standings lately. 14 - Another 2,000-plus point rider currently sits No. 1 in the 14girls ranks, and that rider is none other than Richelle Shriver. Shriver leads a very talented group of girls that includes Alexandra Hill, Cassidy Warnock, Brooke Craft, and Sara Brenner in the Top Five (Hill and Warnock are within 250 points of Shriver). Just outside of the Top Five is No.6 Piper Hockelson and No. 7 Manuela Roldan, but it was Yockelson and Roldan fighting for the top spot of the 13girls podium at the Music City Nats last weekend (Roldan won twice, Yockelson once). Also of note, Kali Streeter and Taylor Weisser are two new riders to the Top Ten. 15 to 16 - The 15-16girls class is the first female 20” class where we see two riders with over 2,000 points atop the standings. In first place is Madelynn Desantis with 2,068 points, but just a mere five points behind with 2,058 points is Lexis Colby. The points stay very bunched up from there, as Esja Shriver, Payton Ridenour, and Tiffany Huber, who are currently third through fifth, all are within 19 points of each other, and within 87 points of Desantis. The talent does not stop there, though, as the rest of the Top Ten, which includes Trinadee Stoflet, Jaycie Sinclair, McKenzie Gayheart, Natalee Daugherty, and Teigen Pascual, all have over 1,600 points. Ridenour swept the 15-16 class in Music City ahead of Sinclair, No. 14 Carly Kane, and others. 17 to 20 - The 17-20women is always an exciting one, and the NAG standings currently reflect that. Olivia Armstrong has moved into the top spot with 2,093 points, but she has a lot of competition in the forms of riders like the Hayes sisters (Ashley and Emily), Addison Finch, Stephani Morin, Korie Gilbert, Sumiko Yuki, and more. Armstrong managed to win two of three mains in Music City, while Morin stole the top spot on the podium on the third day. Gilbert and current No. 9 Bailey Brannen also found their way onto the podium over the weekend, as did both of the Hayes sisters. With Armstrong, Ashley Hayes, and Finch separated by just over 100 points, and the rest of the talent in this class, 17-20women is a group to keep an eye on. 21 to 30 - Moving into the lead in the 21-30women class is Samantha Miller, and Miller also just recently swept the 21-30 group at the Music City Nationals. Miller is just one woman in this group that has been making moves recently. Emily Mundahl and Gabrielle Mikkelsen have moved from out of the Top Fifteen to just outside of the Top Ten, and Lindsey Robinson (who went 2-2-3 at Music City) has climbed all the way to sixth from outside of the Top Fifteen. Samantha Miller, Adrian Sanders, and Meghan Matthews all have over 1,500 points and are the Top Three, while Healey Miller, Kaitlyn White, Robinson, Carly Curtin, and Devan Wilson (currently fourth through eighth), all have over 1,000 points. 31 to 40 - Roshelle Pearson holds down the lead in the 31-40women class at the moment, but other ladies in this class have proven to have what it takes to make a run for that No. 1 spot as well. For example, Carley Young sits just 155 points behind Pearson at the moment, recent PULL Magazine featurette Courtney Tomei sits third, and Music City Nationals sweeper Trish Hartman is fifth. Hartman has been making lots of noise lately, as she is now fifth after being outside of the Top Fifteen not too long ago. Hartman, along with current No. 6 Lisa Webb raced against Pearson in Music City, and Pearson went 2-2-3 against Webb’s 3-3-2. Not to go unmentioned, current No. 4 Christina Gayler joins the Top Five in having over 1,000 points. 41 & Over - The 41 & Over women class hosts plenty of talented riders, and that was on display at the Music City Nationals a week ago. Current No. 3 Shannon Silva swept the 3-day weekend over current No. 2 Marjorie Kaminski (who went 2-2-2) and current No. 6 Tara Pettit (who went 3-3-3). Kaminski, Silva, and Pettit, as well as Melissa Woodruff, Cynthia Pappas, and everyone else is currently chasing points leader Holly Barsocchini for the top spot in this class. The Top Five (Barsocchini, Kaminski, Silva, Woodruff, and Pappas) all have over 1,000 points, but Pettit and Ramsey have been moving up the ranks lately and could be some of the other 41 & over women ready to challenge for the top spots. *National girls/women class Update (Top 99 earn a National plate)* -*National boys/men cruiser Update (Top 99 earn a plate)* - While on the subject of the NAG standings, a look at the National standings would be a good idea as well. This is where every rider with National points gets ranked no matter what their age is to determine who earned the most points overall for that subject of bike (girls/women cruiser, cruiser, girls/women am, boys/men am), and it helps to determine who really brought the best stuff to the National Series for the year. Fourteen different women currently have over 2,000 points on the season, but only one has over 2,100 points, and that women is current National women No. 1 Jordyn Miranda. Miranda holds down the top spot by 40 points over Olivia Armstrong, who has jumped from thirteenth to second, and then it is Brooklyn Van Renselaar, Manuela Munoz Velez, and Nora Willmert that round out the Top Five. Willmert herself has gone from twenty-fifth to fifth recently, but Munoz Velez has seemingly made the biggest jump of all, having gone from seventy-sixth to fourth. The Top Two 15-16girls Madelynn Desantis and Lexis Colby then come in at sixth and seventh, and then it is Alexis Alden (up from thirty-ninth) in eighth, Lola Jonjevic (up from seventieth) in ninth, and Ellie Carey (up from seventeenth) in tenth. ABOUT THE AUTHOR: Jacob Smith races out of New York as a 17-20 Intermediate ("at the moment"), along with his brother (who is 21-25 Inter). THey both rode when they were younger in the NBL days, and just recently returned to the sport they love. Jacob is an avid writer, who has dabbled in sports media, writing in the past as part of cnywrestling.com - a website that covers high school wrestling in the central New York area, and newyorkwrestlingnews.com, which has a similar goal as cnywrestling.com, but is based more around New York State as a whole. Smith is currently enrolled at SUNY Cortland as an Adolescent Education: English major.